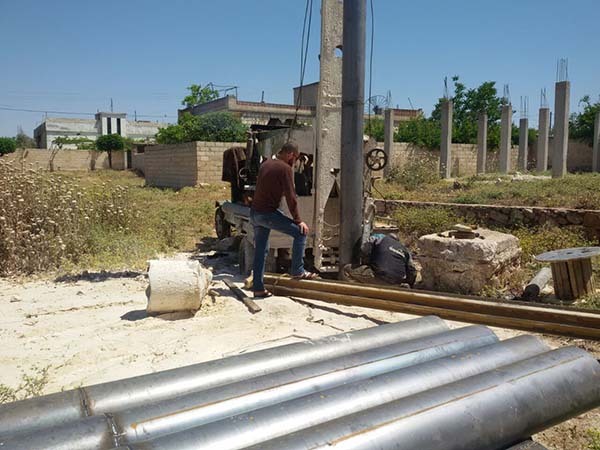 This project includes pumping of clean portal water drinking water to 7 villages in north Rural of Homs and Hama Rural by operating 4 water pumping stations delivering water to the following villages: Deir Fool, AL-Magdal, Granada and Hashemia. The project also includes the trucking water to three villages (residential communities): AL-Se’en, Al-Dar Al-Kbere and Tlol Elhomor. The project also works on the rehabilitating water pumping station and water network infrastructure in the area, it also works on finding the proper method to hand over the project to the local council to ensure its sustainability. 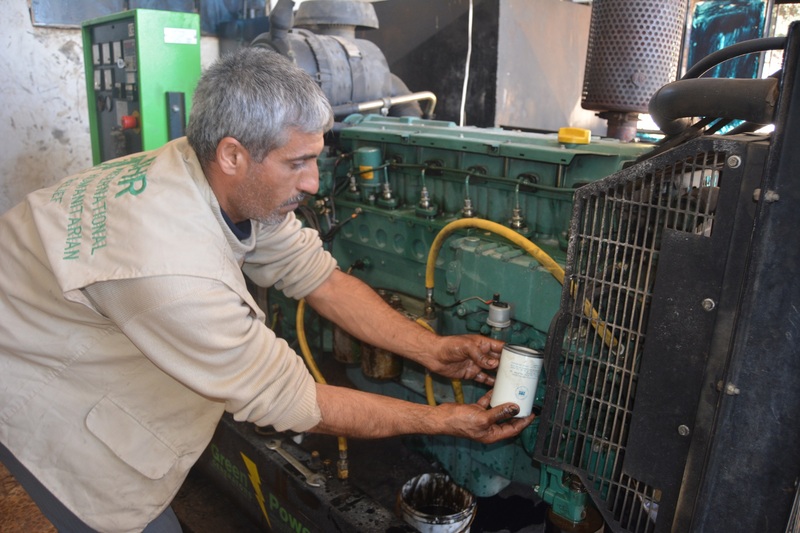 This project includes pumping of clean portal water to 9 villages by 7 water pump stations: Eastern Farhaniyeh water pumping station (Zafaraneh- Makramiyeh – Eastern Farhaniyeh), Western Farhaniyeh, Al-Hashmi – Rastan, Ezzeddine, Assayleh, and Abu Humamah. In addition, the project works on rehabilitation of the 7 water pumps and the water network lines as well as IHR will work on the possibility of handling the pump stations to the local council to ensure its sustainability. Moreover, awareness session will hold in order to discuss different topics related to water treatment. water conservation and water storage. 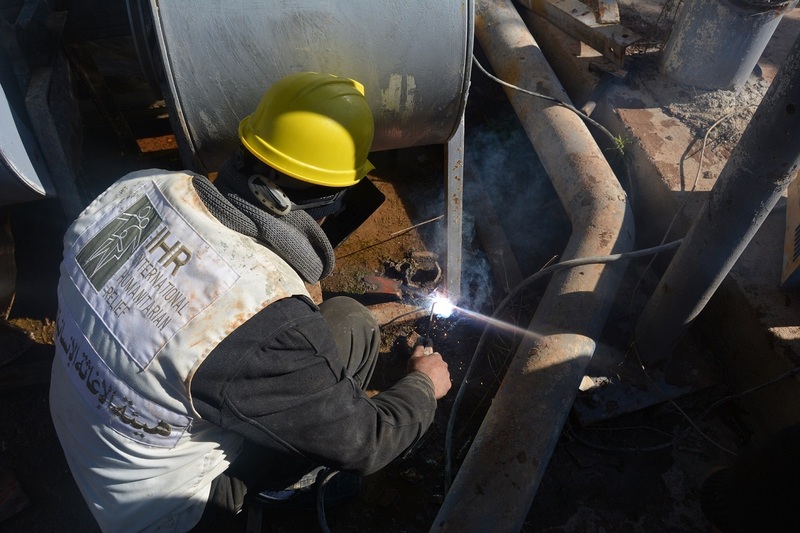 This project includes pumping of clean portal water to villages in North Rural Homs by two water pump stations: Der Fool Pump station and Talbeesa Pump Station. 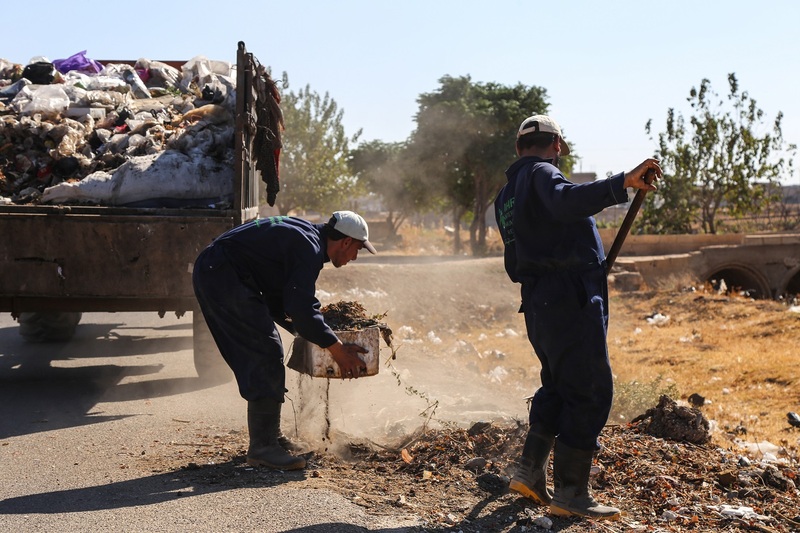 Waste Removal Project aims to remove the waste from the Hola areas” Taldo-Taldhab-Kfarlaha-Borj Kae’e and Western Tiba to ensure a safe environment, free of serious epidemics that resulting from the accumulation of the Waste. Project’s activities include cleaning the street, collecting the waste at a collecting point as well as removing the waste from the collecting point to landfill using special vehicles such as compressors. In parallel awareness, sessions will be done for improving Hygiene Knowledge and practices. 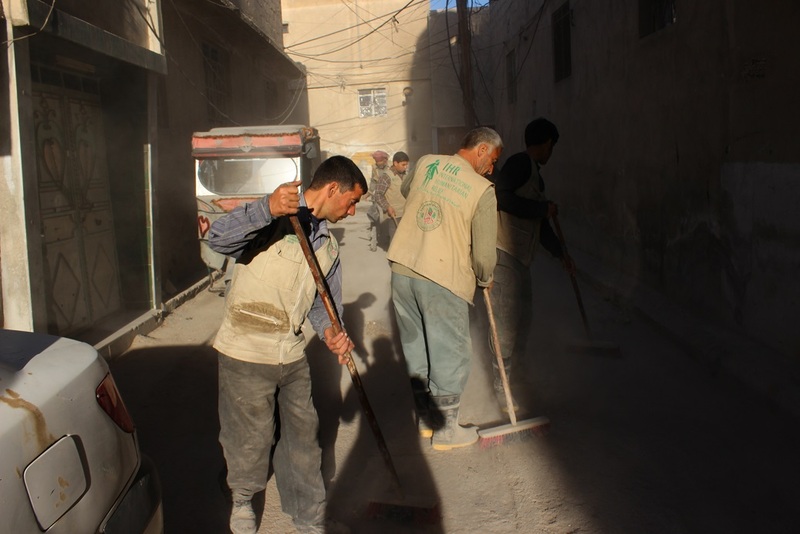 140,000 beneficiaries in the Eastern Ghouta-Douma. 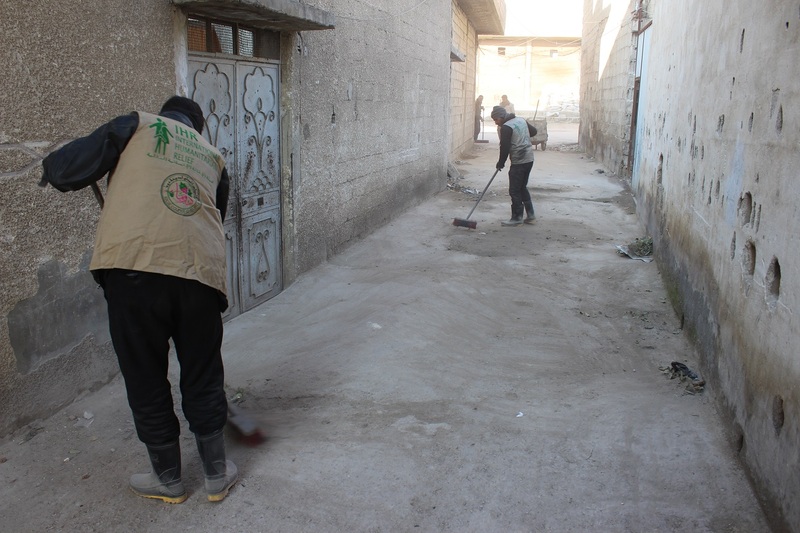 Waste Removal Project aims to remove the waste from the Douma city on a daily basis to ensure a safety environment, free of serious epidemics that resulting from the accumulation of the Waste. 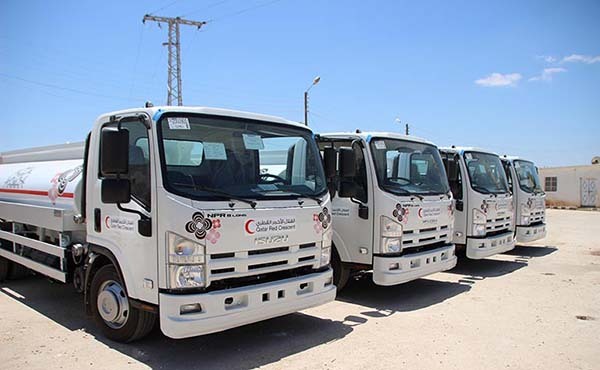 Project’s activities include cleaning the street and collecting the waste at a collecting points as well as removing the waste from the collecting point to landfill using special vehicles such as compressors. 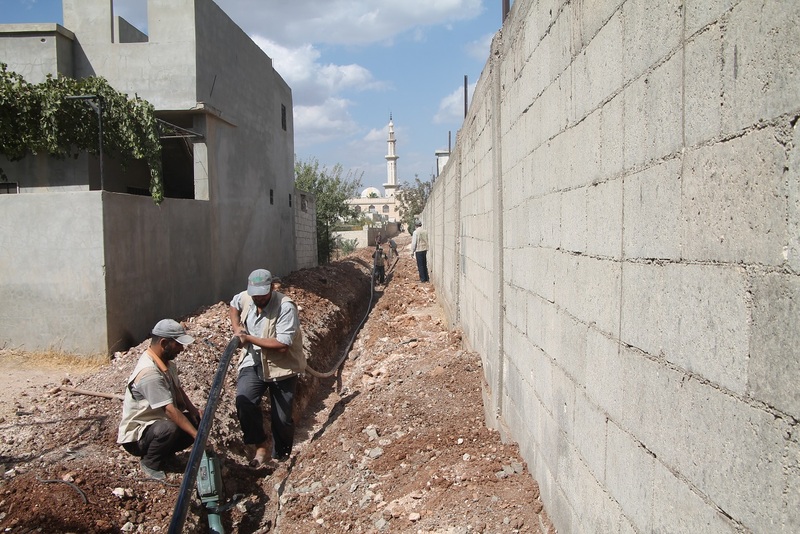 This project is implemented in a partnership with the Douma Local Council. 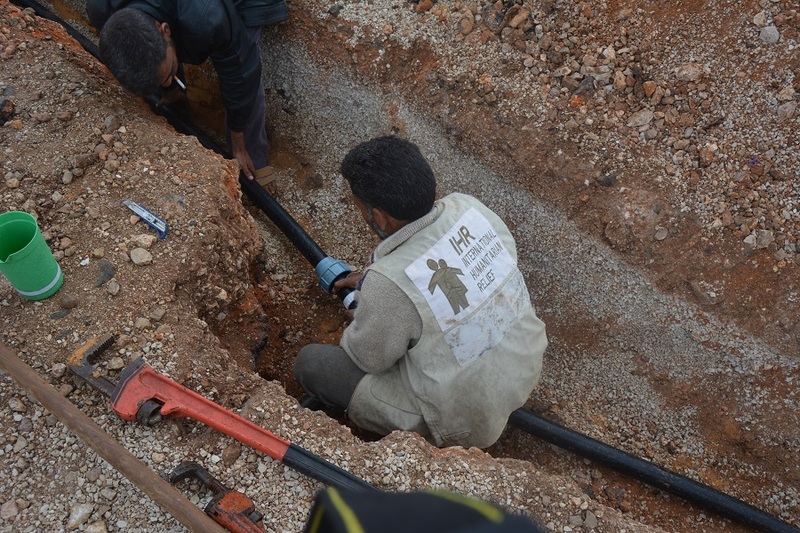 The acute shortage of clean drinking water in the besieged areas for more than three years, was the main reason for the international humanitarian relief “IHR ”to renew the project of pumping clean drinking water to the people of the besieged North Homs Countryside areas through maintenance of the six water pumping stations, in addition to that IHR hiring an expert engineering staff for the supervision ,controlling, permanent maintenance and monitoring of the pumping water process in terms of quantity and quality of water networks in Talbeesa, Rastan, Western Farahani, Abu Homam ,Asielh , Ezzedine areas and other neighborhoods areas in the besieged North Homs countryside. 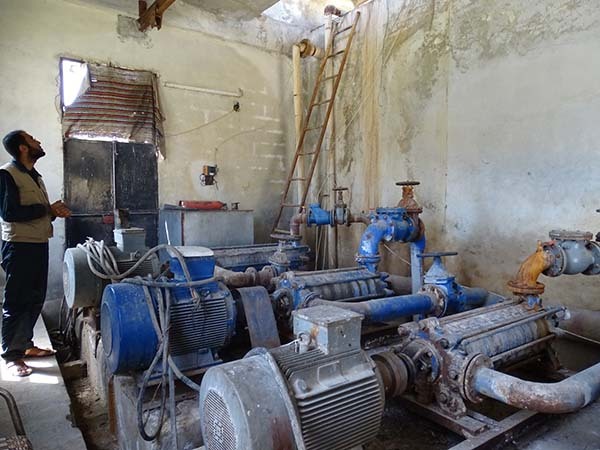 As part of IHR’s work in the WASH sector in the Northern Homs countryside and as a result of the lack of health awareness not to mention the deteriorated state of the water supply in the besieged areas for over 3 years, IHR aims to rehabilitate and operationalize the water pumping station that provides water to Zaafaraneh, Eastern Farhaniyyeh and Mukaramiyyeh. For that purpose IHR has set up an engineering and services office to monitor the quality of the repairs on a regular basis. 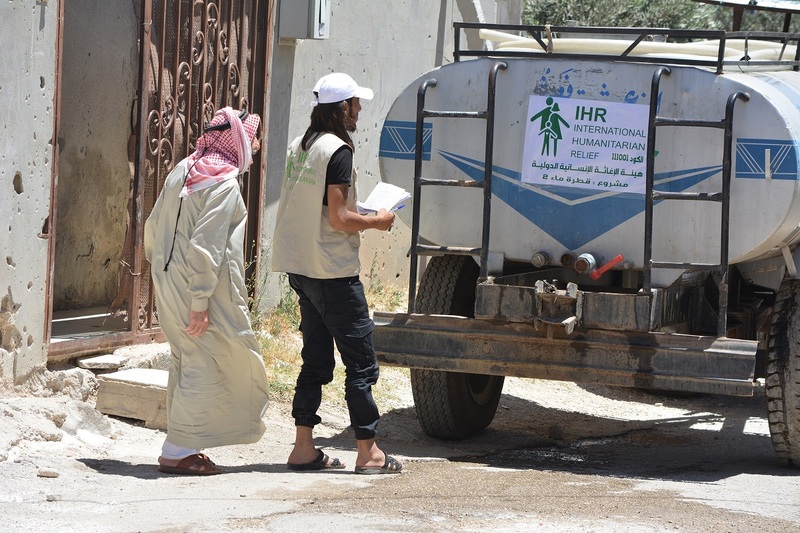 In addition to all of that, IHR will distribution hygiene kits to 8000 households in the Nothern Homs countryside -twice to each household- and will hold regular health awareness campaigns in several areas. 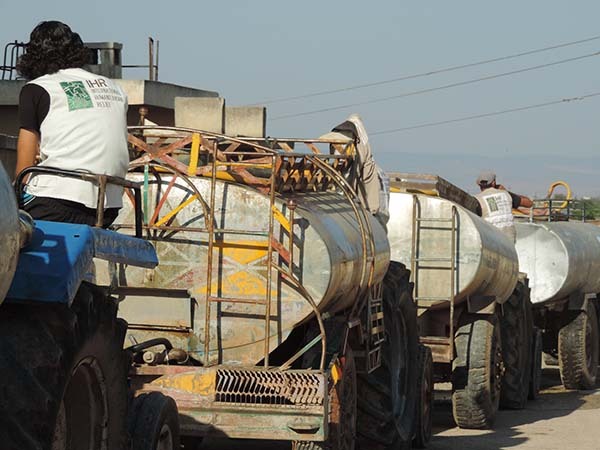 Providing drinking water to people in besieged area in Aleppo by supporting the local counsel with three water trucks, to provide water to people in besieged area of Aleppo in coordination with Qatar Red Crescent. 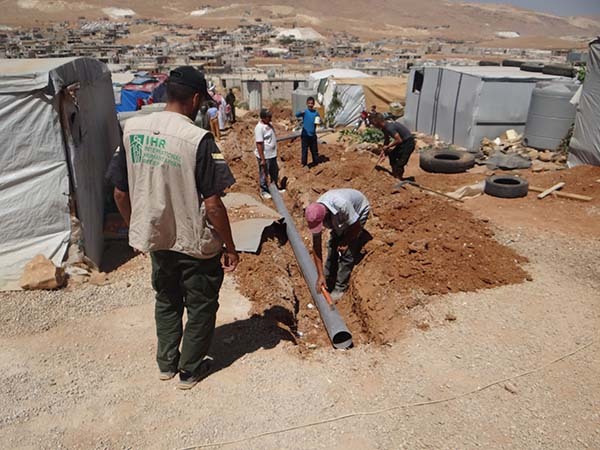 To extend sewage networks for the Syrian refugees who are currently living in the camps in Aarsal, in order to improve their living conditions in these camps. And this project includes establishing a sewage network includes (ground holes, manholes, main and tributary sewage pipes) for 64 camps in Aarsal. 58100 IDPs and people in need. The project aims to provide pure water source to the people of Jaranaz to limit diseases resulted from contaminated water and providing drinking water to 15200 IDP households and 42900 resident households. 29500 IDPs and residents in the area. 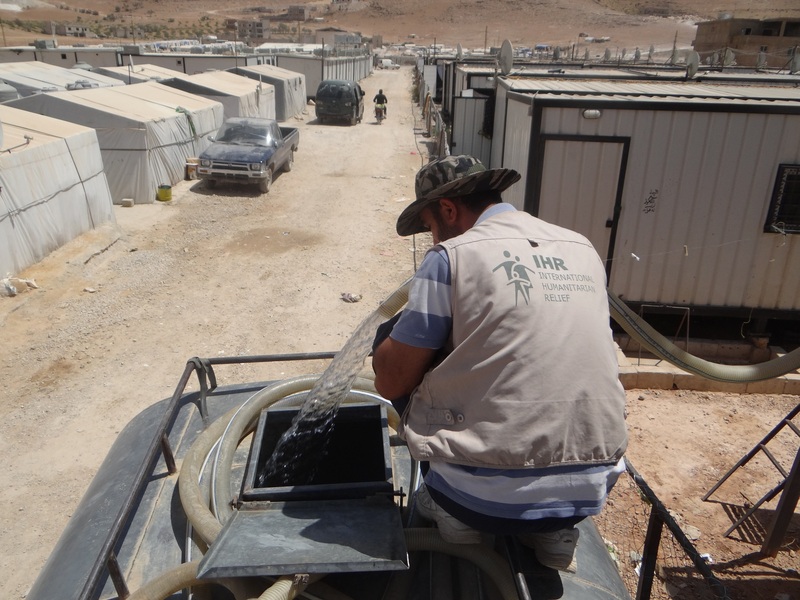 We provided drinking water to the households of 10,000 resident and 5,000 IDPs in Kafar Zita, in addition to 12,000 resident and 2,500 IDPs in Afes, by maintaining the water network and pumping the water for 8 hours a day. 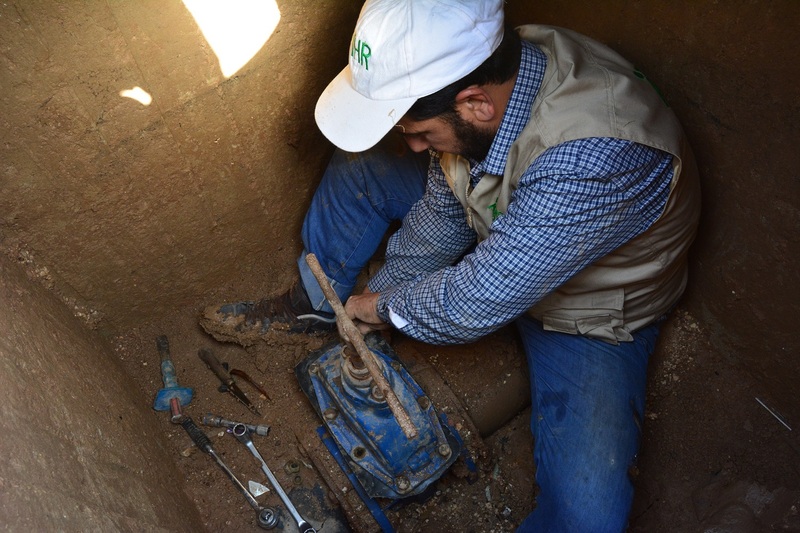 Due to the clean water shortage inside the besieged areas for more than 3 years, IHR started a new project that aims to provide clean drinking water for people in the north countryside of Homs. The project included water reactivation and pumping through providing water supply networks and delivering water containers to places in need.